Daily Inspiration - Daily Quotes: Not Good Enough? 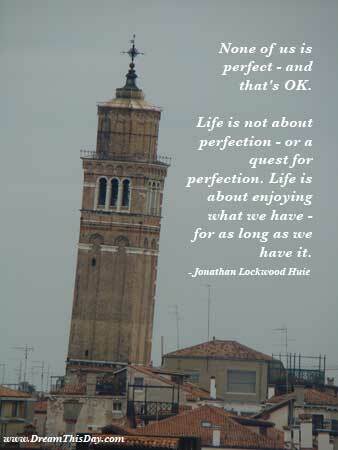 Life is not about perfection - or a quest for perfection. Life is about enjoying what we have - for as long as we have it. Never let anyone tell you that you "aren't good enough."